Have you purchased Maine land for recreation use? Are you looking for things to do in the winter? Why not give snowshoeing a try. This fast growing sport has outpaced skiing and snowmobiling. The relatively low cost of entry and health benefits may be the two biggest reasons for its growth. Snowshoe hiking in the winter is great exercise burning up to 600 calories per hour not to mention that it provides a completely different look at your land. Views unobstructed by foliage are impressive in the winter. For those willing to brave the colder weather they will be rewarded with more solitude. The trails you make on your land for summer hiking and fall hunting will make great trails for snowshoe hiking in the winter. 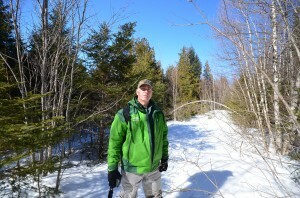 What snowshoes should you have for your land will depend on the terrain and snow conditions. Deep powder snow will require a longer wider snowshoe to provide more flotation. Steeper and firmer snow conditions will favor a shorter shoe with more aggressive toe crampons for traction. 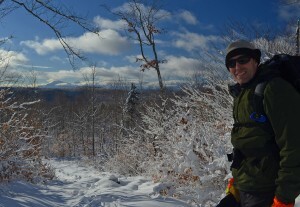 Affordable winter recreation is the appeal of snowshoeing. Cost of new snowshoes will vary from $100 to $300 or a little more depending on the brand and features. The most important decision in purchasing a shoe is the length. The length of snowshoe needed will depend on the intended use and the weight of the user. If you are new to the sport check out the LL Bean outlet store in Freeport Maine. The ski and bike shop has a big selection of snowshoes of all shapes and sizes and a staff who can help you pick the correct shoe for you. Before heading off in the woods for a winter hike get prepared. Layers of clothing that can be shed or added as necessary will make your outing much more enjoyable. Snowshoeing can build body heat in a hurry, so be prepared with a pack to stow the layers you take off as you heat up and added for changing weather. This is a sport that rarely causes injury but consider bringing a friend or two in case of an accident. Mishaps in the winter tend to be more of an issue then summer accidents.